Abstract: Flexoelectricity defines the electric polarization induced by mechanical strain gradient, or the mechanical strain generated under an electric field gradient. Compared with the more widely applied electromechanical coupling effect, piezoelectricity, flexoelectricity is free of the material symmetry limitation and exists in all dielectrics in principle. The dissertation has focused on three main topics, including the temperature dependence of the flexoelectricity in the lead-free ceramics, the flexoelectricity in a metal/ferroelectric/semiconductor heterostructure, and the hybrid energy harvester device. Biography: Shujin a.k.a. Daisy graduated from Beijing Institute of Technology with a BS in Photonic information and technology. Following graduation she went to University of Southern California for her MS in Electrical Engineering. 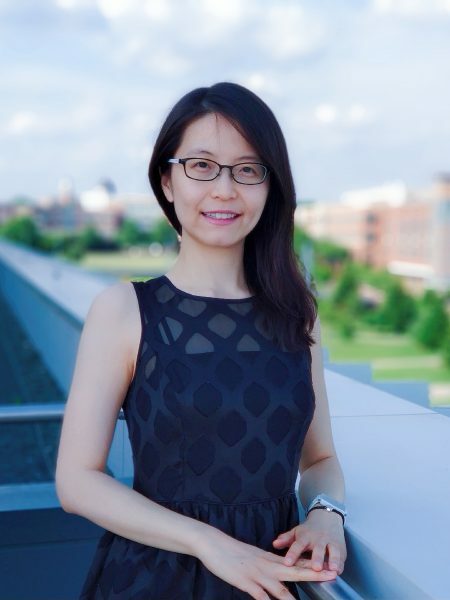 In 2014 she began her studies toward a PhD in mechanical engineering at North Carolina State University under Dr. Xiaoning Jiang. Her research interests include flexoelectric materials and structures, energy transduction, and laser ultrasound applications.